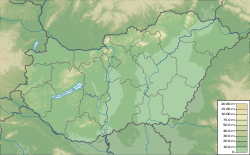 Baja (Hungarian pronunciation: [ˈbɒjɒ]) is a city in Bács-Kiskun County, southern Hungary. It is the second largest city in the county, after the county seat at Kecskemét, and is home to some 37,000 people. Baja is the seat of the Baja municipality. Today, Baja plays an important role in the life of Northern Bácska as a local commercial centre and the provider of public services such as education and healthcare. It has several roads and a railway connection to other parts of the country, and also offers local Public transport for its residents. Being close to the Danube and the forest of Gemenc, as well as having its own cultural sights, makes it a candidate for tourism, but this is not well established yet. The city's Hungarian name is derived from a Turkic language. The name means "bull". The Latin name of the town is Francillo. Baja used to have also a German name: Frankenstadt. The city is first mentioned in 1308. The Bajai family was first known owner of the town. In 1474 the settlement was given to the Czobor family by Matthias Corvinus. During the Turkish Conquest in the 16th and 17th centuries it was the official center for the region and it possessed a fortification. This era saw the immigration of Bunjevci and Serbs into the town. There was also an active Franciscan mission with monks from Bosnia. In the 18th century, Hungary with its regained territories was a part of the Habsburg Empire. Germans, Hungarians and Jews migrated into the town. 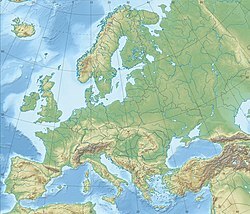 Due to its location on the Danube, it became a transportation and commercial hub for the region. This was where grain and wine was loaded onto boats to be transported upriver to Austria and Germany. In 1727 the Czobor family regained its ownership. Until 1765, the inhabitants belonged to three nations; Bunjevac (under name of Dalmatians), the Germans and the Serbs. Following this, according to a government decree the Natio Dalmatica was changed into the Natio Hungarica, but even in 1768, the elected mayor swore the oath in the Bunjevac language in the Franciscan Church. ^ [Baja, Hungary at the Hungarian Central Statistical Office03522 Baja] at the Hungarian Central Statistical Office. 1 January 2009. Wikimedia Commons has media related to Baja.